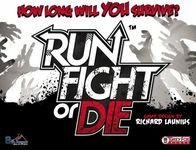 Run, Fight, or Die! Zombie Horde Expansion included inside base game box. First edition with the only expansion that adds much to game play.